When rowing on the water balance and single leg strength come into play much more than rowing indoors on the erg. 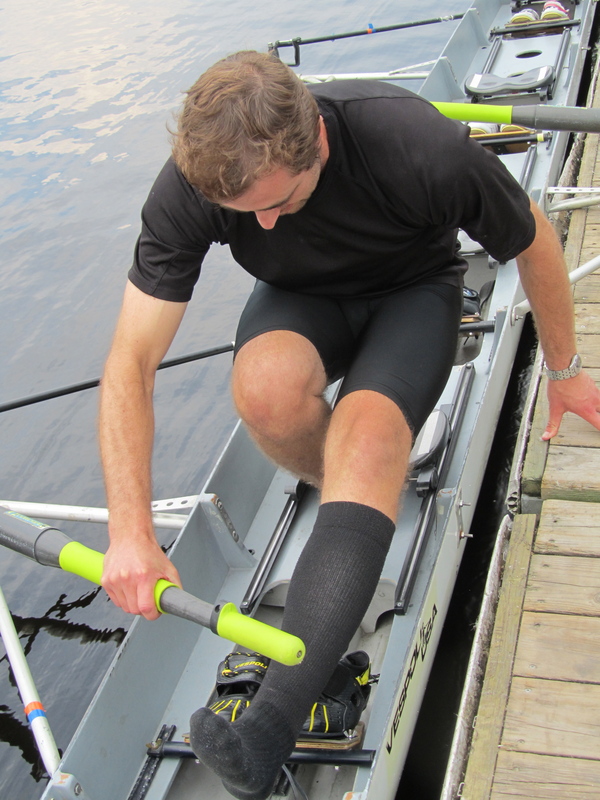 Exercises like the pistol (single leg squat) really help develop the sense of balance and power needed to move a boat. Think about making a big turn in a sculling shell mid race, like any of the turns in the Head of the Charles. A sculler must be able to balance (a.k.a. set) the boat and transfer force to the water. Those that do this well maintain boat speed around turns and can walk through opponents. If you can’t do a pistol yet substitute goblet squats. 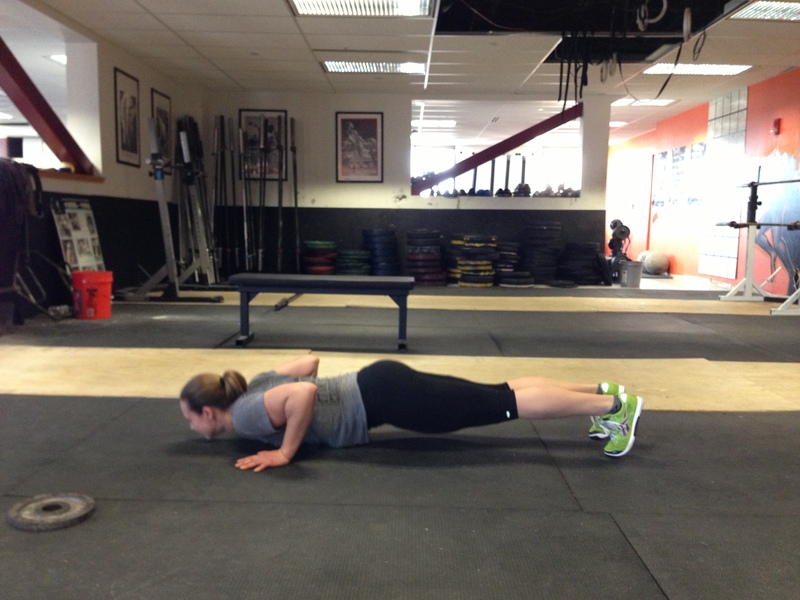 The inch worm is a great stabilizing exercise if you try to keep the hips and torso quiet. Then when you add the push up, connection of the feet and hands come into play. Keep that core firm and ensure everything touches and leaves the ground at the same time. Last but not least there is the kettle bell swing. Really focus on driving through the heels and activating the glutes and hamstrings while keeping a solid core. Now hold up! 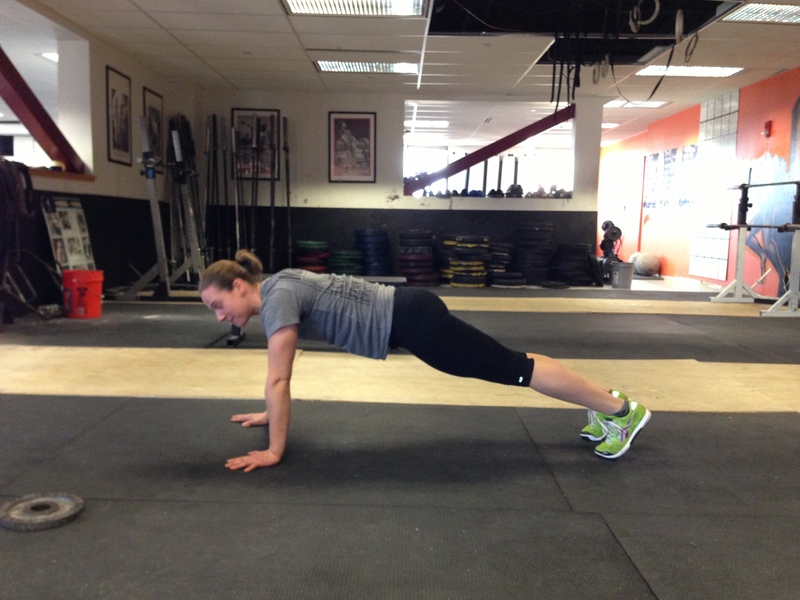 What about all of the athletes out there that are using rowing as a cross training tool? You’re in luck. If you can piece together good efficient movement in the first three exercises then you should be able to crush the row for calories at the end of each round. Your goal should be consistent, efficient strokes. For those that have been working on suspension and have tried a drill like the strap drill, you’ll want to fully suspend throughout each stroke in order to get done in as few strokes as possible. If you suspend well and can maintain a nice ratio then the rowing part of this workout will become active rest and allow you to breathe. Don’t get me wrong, 10 calories is not much and you should be pushing the pace, but work on suspension and make the rowing as effortless as possible so you can crush the rest of this Rowing WOD. Post your time and the fewest number of strokes it took to complete 10 calories! This entry was posted in Fitness, Rowing, Strength and tagged endurance sports, exercise, functional movements, health, inspiration, mental toughness, recruitment patterns, row 2k, rowing, sports, Strength, training, water by Renegade Rowing. Bookmark the permalink.